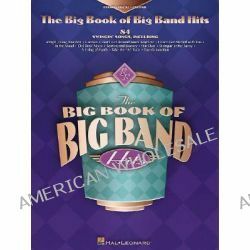 The Big Book of Big Band Hits, Big Books of Music by Hal Leonard Publishing Corporation, 9780634022463. « The Broadway Sound, The Autobiography and Selected Essays of Robert Russell Bennett by Robert Russell Bennett, 9781580460828. Informacje o The Big Book of Big Band Hits, Big Books of Music by Hal Leonard Publishing Corporation, 9780634022463. Produkt został dodany 08.12.2014 11:04. Ostatnia zmiana danych produktu miała miejsce 08.12.2014 11:04.